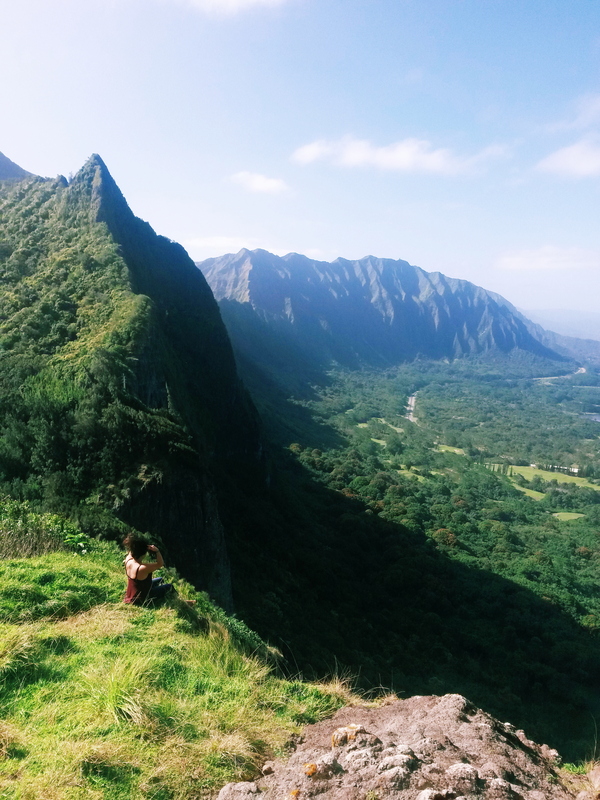 Grateful for the incredible views of this wahi pana. Aloha e nā hoa! You know that feeling you get when you simply must be outside, and absolutely nothing else will do? Your body craves sunlight on your skin, your mind needs the peace and stillness that nature brings, and your spirit longs to be free? Yeah, as a graduate student who spends most of my time indoors buried under a behemoth of books, I get that feeling a lot. Like, pretty much every day. Thankfully I recently had a long weekend off from class, so of course that meant it was time to get outdoors, get moving, and get foraging. while the occasional kukui tree pops a shock of light green. During the rainy season waterfalls will temporarily cascade down the range, offering a treasured sight. Thankfully there wasn’t any rain that day, because while gorgeous, it would’ve really put a damper on our plans (ba dum tiss!). 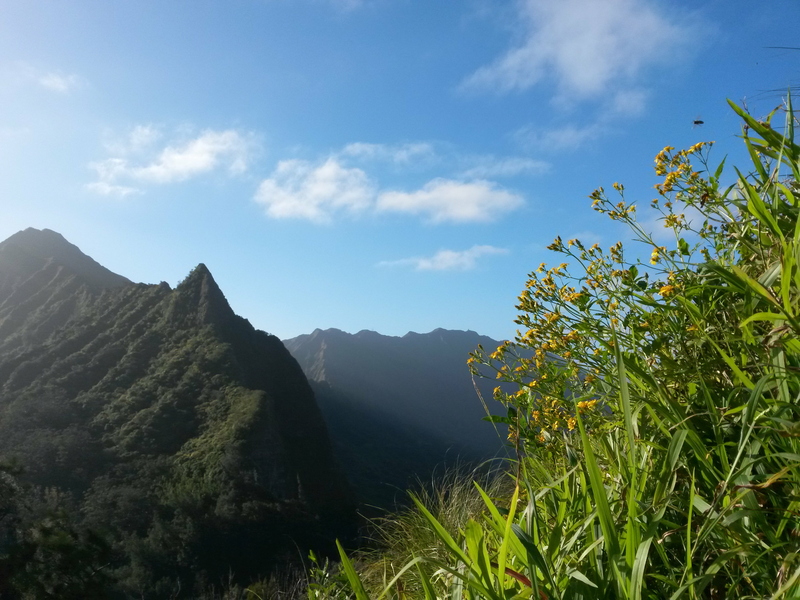 My beau and I made the scenic drive out to the windward side to catch some sun and to hunt for some medicinal herbs, specifically māmaki and ko‘oko‘olau, to make a delicious and relaxing tea. We were also hoping to find some ‘oliwa kū to bring home for transplanting. Did you know that ‘oliwa kū tastes like sour apple? 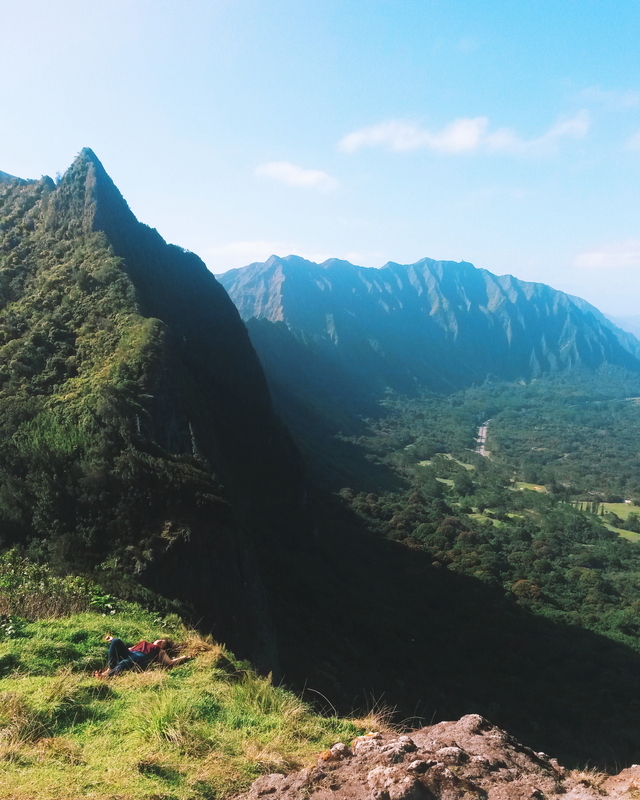 We got to the Pali lookout and started hiking up and off the beaten path. It seemed as if it had in fact rained earlier in the day, since the redbrown earth was packed down yet slippery. The only way to make it up the steep climb was to take off our slippers. Digging our feet into the wet earth and grabbing hold of roots and branches to steady our ascent, we hiked for a while. The breathtaking views that we were treated to at the clearing made all that huffing and puffing on the way up well worth it. Ko‘olau + Ko‘oko‘olau = Best Friends Forever! 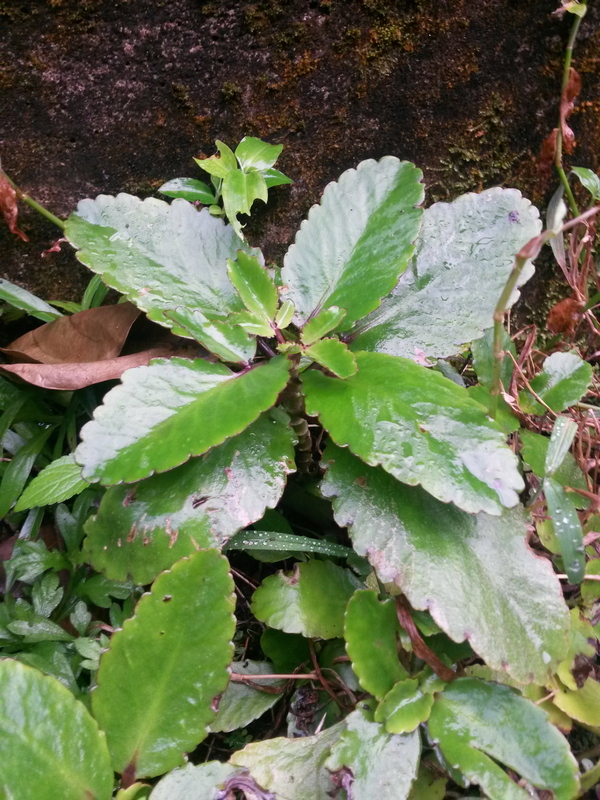 Ko‘oko‘olau – excellent in helping to treat diabetes, relaxant. Māmaki – muscle and nerve relaxant, good for the lungs, back pain, high blood pressure. Blue vervain – treats ailments of the nervous system. ‘Oliwa kū – healing properties similar to comfrey. Cradled by O‘ahu’s spine, dancing among the trees, and healing with Papahānaumoku and her treasures had me exploding with love of life. So, I encourage you, dear reader, to get outside and connect with nature and the elements, wherever you are. 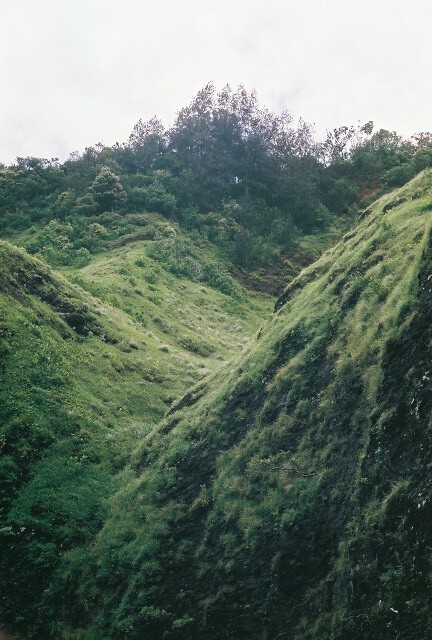 In Hawai‘i we’re lucky that most if not all of the plants growing here are not poisonous. However, please use caution when using plants as food or medicine, and make sure that you know what you’re eating or ingesting. If you aren’t sure, check with someone who is. Happy and safe foraging hikes to you!